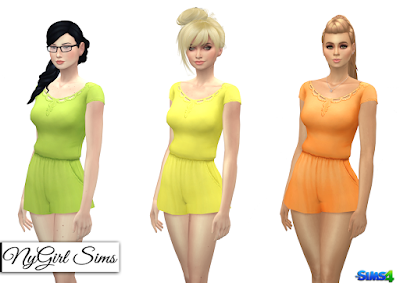 A romper inspired by a TS3 dress (from the Everyday Chic collection I believe). Made from a mixture of TS3 and TS4 textures. Mesh edit by me. Comes in 20 vibrant summer colors.